We value feedback from our customers. We are fortunate to have so many of our clients provide us with reviews and testimonials. Below are just a few that capture the essence of the quality of our work and positive impact to our diverse clients. Feel free to leave us a review and share your experience with us. I have noticed an increase in phone calls with the new website designed by Kevin VanDette of Affordable Website Specialists. The new web site is certainly just what Tomhegan needed for a pick me up. When new people call they can look at the cabins that I tell them are available. It helps them make a better informed decision as to which cabin they would like. The pictures and the updated descriptions save many questions. Many of our regular guests tell me the new web site is a breath of fresh air. I obtained one of my best clients of the year from the Search Engine Optimization (SEO) and the look and feel of the of the website that Rob VanDette designed. These Rochester folks looked at all the local mortgage brokers, and thought that I would have the best customer service. They said it was mostly because of the informational, professional, and easy to navigate website that Rob created. Rob was great to work with. He is very professional, provided great ideas, and knew exactly what I needed to get my new website looking great. I highly recommend Rob for any and all website design work you might have. I am getting tons of traffic from my website, and it is all due to the outstanding services of Affordable Website Specialists. I am a small business owner in Oakland County Michigan. I needed to reach new clients, and I knew the internet is the way people find the goods and services they need. I, like many small business owners am good at what I do, but I am lousy at all things computer. I needed expert computer assistance that could get my company seen in Google searches in my local area. A client of mine suggested that I talk to Kevin VanDette, at: Affordable Website Specialists. I have found Kevin professional and very effective with all things Google. My company now shows up page one in the organic results. Kevin has provided expert methods that have resulted in top placement in Google places, as well as handling our Google pay per click campaign (Google Adwords). If you want your company found on the internet, I recommend: Affordable Website Specialists. They are affordable, and he does what he says he will do in a professional and timely manor. - Craig Cole owner: Ace Piano Inc. I have a painting studio and to get it more visible on web I had Rob creating SEO. It work wonders !! He is so easy to work with and you can dependable!! Thank you so much!! Amazing company! They are skilled in building a website that is mobile responsive, as well as clear and concise. 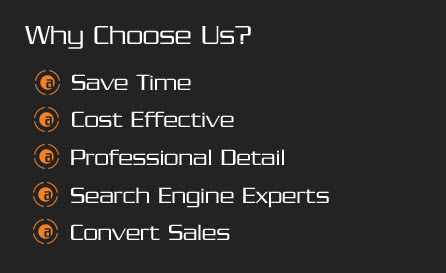 Also, getting your business found via SEO is essential and they can help! Rob VanDette and is co.pant is great. Great search engine optimization and web site development. They are a great help to those who are not tech savvy and need a web site for their business. Met with Kevin for a SEO services on my ecommerce website. Recommended by Ace Piano inc. Already within the first meeting he showed me great tips and strategies for my site. Can't wait to see the effects of SEO. Thank you! When Should I Use Google AdWords?